Today is my 21st birthday. Today is also Apple’s 40th birthday. While the internet is surely littered with stories reminiscing about this day in 1976, or about this day in another forty years, I’d like to take this moment to wish a happy birthday to my ‘older twin’. Today marks your 40th birthday and today marks my 21st. Today also happens to be April Fools day, but that’s beside the point. You probably don’t know who I am, despite paying out App Store checks to me and inviting me on a student scholarship to WWDC15, that’s not really surprising. After all, there’s a lot of people in the world celebrating your birthday today—whether actively or not. How could I, just another number in your 380,000 developers, ever even register on your radar1? To be honest, it is somewhat strange to be using the days before my 21st birthday to be writing a letter of thanks to a company. Though I am oddly compelled. Compelled to thank you and wish you the happiest of birthdays, even if only to be another voice in sea of thanks (and probably some hot-takes). I, like many others, owe so much to your products, services, and most importantly people, that I couldn’t let this opportunity pass. Compared to some of the others in this community I’m relatively new. I didn’t own my first product of yours until early 2009 (my beloved 4th Generation iPod Nano). However, you’ve changed so much of my life that I can’t possibly imagine where I’d be without you. While everyone else recites your ups and down, let me briefly recap where I am, and how you helped get me here. Not long after picking up that iPod, I acquired a 2nd Generation iPod Touch (through a less than fair trade with my father2). While I’d toyed around with some basic DOS scripting and web development (and by basic I mean pH 15) in my early teens the Touch sold me that I needed to make apps. That machine may very well be the best computer I’ve ever owned. I edited pages of the school newspaper on it. I made two twenty minute, and one 8 minute films that played to over 3000 people each, on it. I wrote hundreds of essays. Singlehandedly designed my high school yearbook on it. And most importantly, made my first apps on it3. Those first apps, distributed through your store, showed me that people liked (and used) things the I made. For a fifteen year old, thats pretty crazy. Watching those numbers roll in. 200 downloads. 1000 downloads. 10,000 downloads. 100,000 downloads. 200,000 downloads. Later that year I upgraded to an iPhone 4Steve (in white, of course) and continued making apps (and films, and taking photos, and laying out books…). If I wasn’t using using my Mac, I was on my iPhone (and since my dad had just bought himself an iPad I did also spend a lot of time on that). Suddenly I was living and breathing Apple. I discovered developers on Twitter, and through podcasts. I found this community online of people crazy enough about this company that they congregated together. Many of these people I now talk to, I’ve met, and many hundreds more I’ve become friends with in the years since. The products you’ve made are awesome. Truly bloody great. But the community you’ve harboured around you is so much more. Tim, your Bloomberg op-ed in which you came out, showed me that despite my sexuality I too can be successful like you. 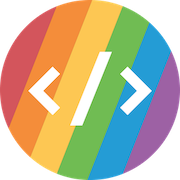 You put your own privacy to the side in order to provide hope for young LGBTQI* people around the world. You stood up for our privacy, time and time again. Most notably in the recent case against the overbearing FBI. I’m not American, but I’m still affected (like billions of others) by the decisions you as a company make every day. I want to thank you for your pursuit of the arts. For creating products that allowed me to do creative things, I just couldn’t do them without you. 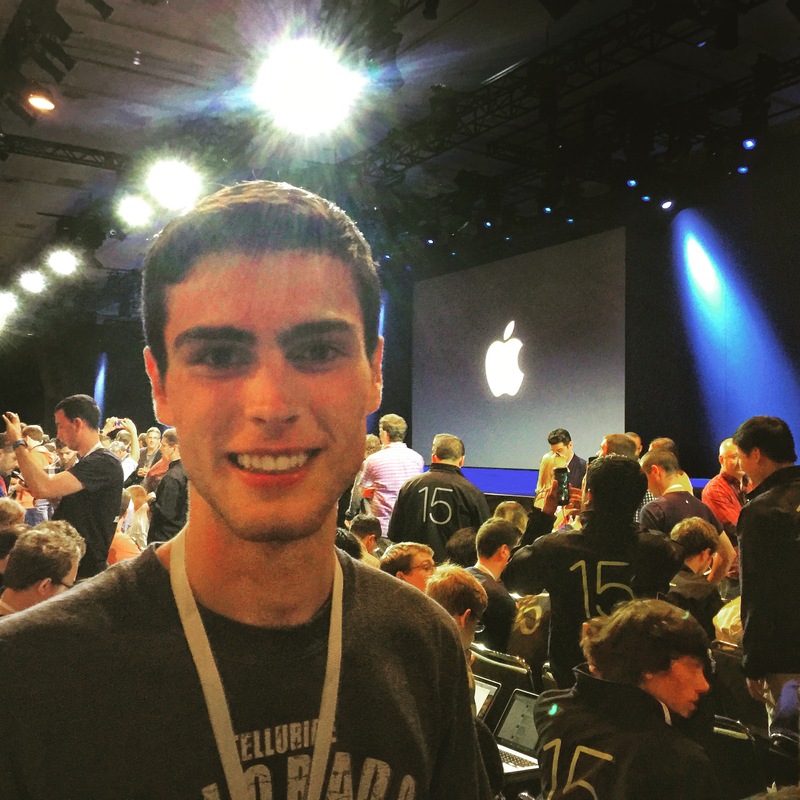 Most of all, I want to thank you (all of Apple) for providing me the chance to attend WWDC last year, and for teaching me so much, and inspiring me to learn and work towards building apps. Because of your products, and your social outreach, and the community around you4 I work full-time as an iOS Developer. I have the dream job, in the dream field, surrounded my the dream people, using the dream products, all because on this day 40 years ago two Steves decided to make a computer (and also in part because this day 21 years ago I was born). Happy Birthday Apple. Keep on being awesome. Not just in your products, but in all aspects of your company. Thanks for the last seven years of my life. Heres to the next forty, when I’m a little closer in age to you proportionally 😉. Now I wouldn’t be a good marketing student, nor app maker, if I didn’t take this opportunity to push something. Over the last few months, I’ve been building a movie tracking app. The space is pretty crowded, but nothing really fits my needs. That’s why I’m building Specular. Specular, distilled down to its “Uber for…”, is Swarm for movies. A near-realtime log of what you watched, what your friends have watched, and what you all thought about it. I’m still busy building it, but I’m looking for beta testers. If you’d like to give it a try, drop your email in the box below. Thanks!